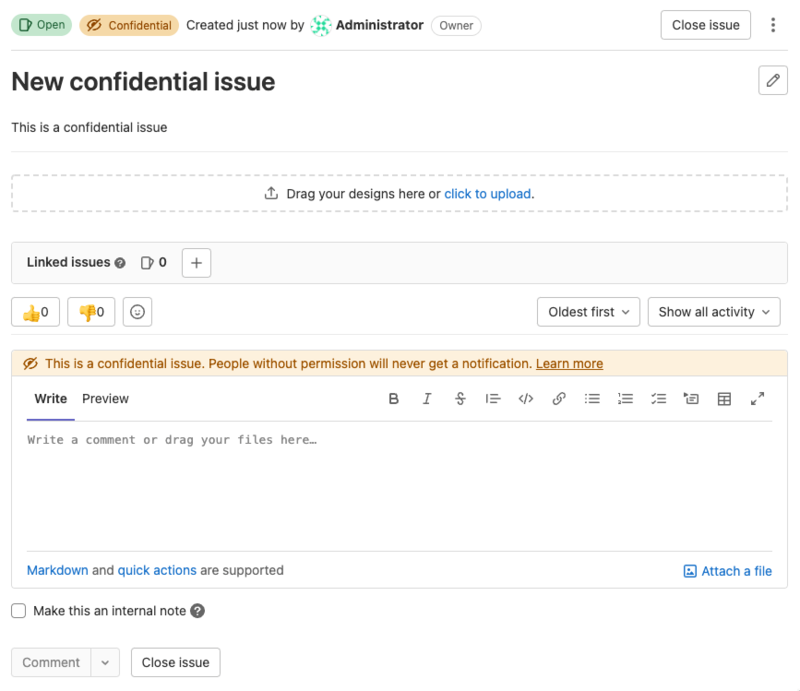 There are two ways to change an issue’s confidentiality. Every change from regular to confidential and vice versa, is indicated by a system note in the issue’s comments. 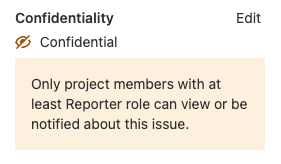 Note: If you don’t have enough permissions, you won’t be able to see the confidential issues at all. Confidential issues are also hidden in search results for unprivileged users. 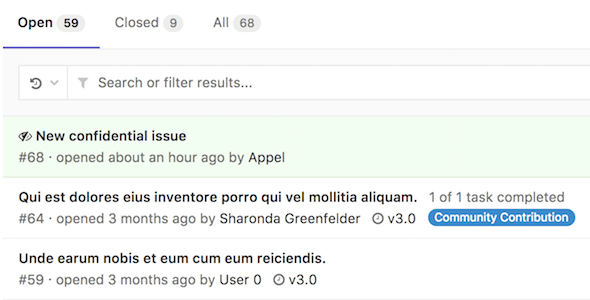 For example, here’s what a user with Maintainer and Guest access sees in the project’s search results respectively.